Kaboom Concrete pumping are South East Queenslands concrete pumping experts. 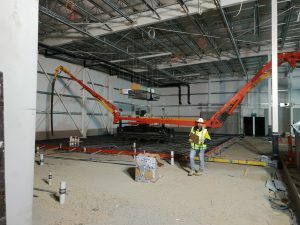 We are ready to handle any concrete pumping job: commercial or residential. 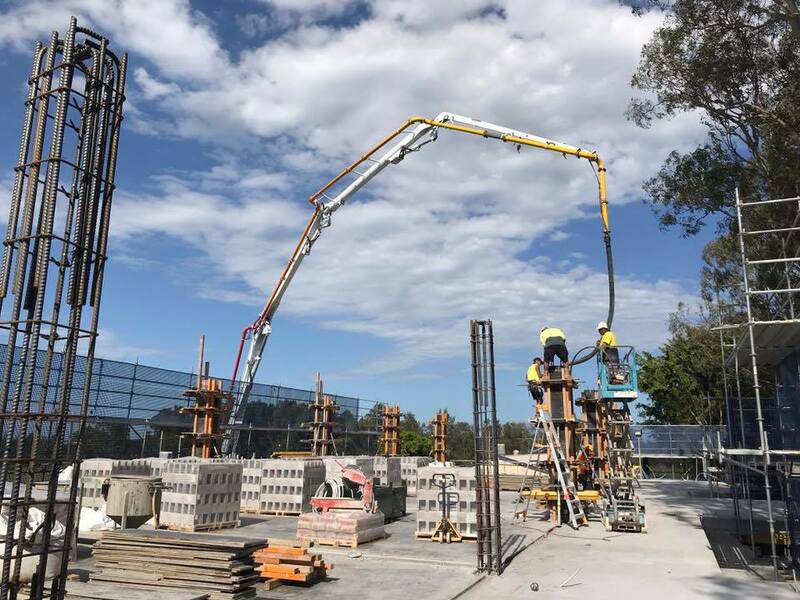 Our Fleet of concrete pumping Boom trucks will be ready to get pumping on your job site whether it be a house foundation & slab or using our 47m vertical reach truck to pump cement for your high-rise construction. It’s within our reach! Do not hesitate to call us today on 0450 511 115 for your quote. 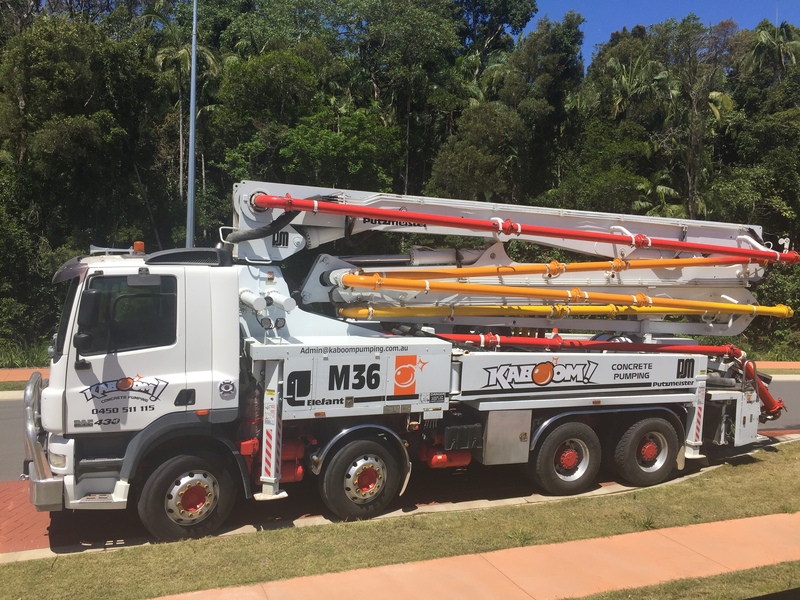 With our fleet of concrete pumping trucks in South East Queensland, ranging from 4 stage 28m vertical reach remote control boom truck, to our massive 5 stage 46m vertical reach Putzmeister 47, we can get your concrete pumped on your commercial site. 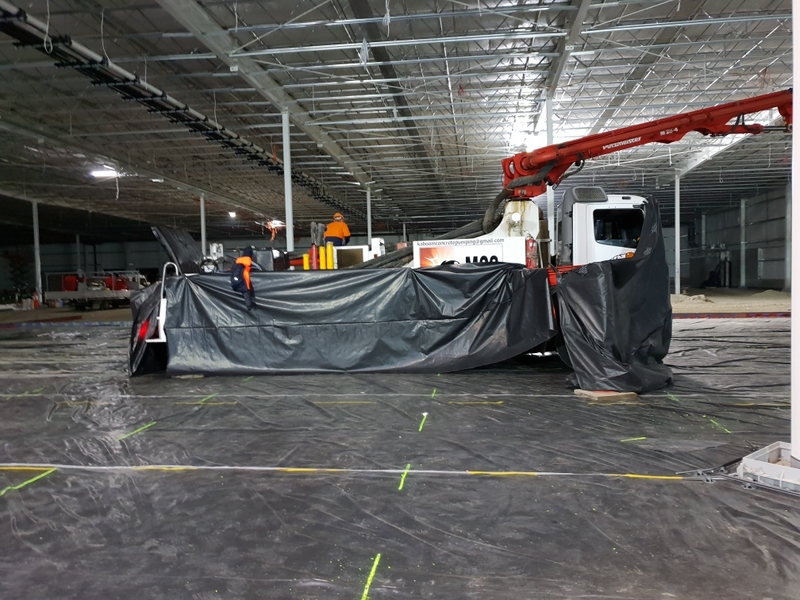 No job too big or too small, from day-cares to shopping centres, we have the know how to get the job done right. With our fleet of commercial mobile concrete pumping trucks, we can get to your site. Servicing the wide bay region, our work will blow you away! With a Putzmeister 47 concrete pumping truck, we can get your cement to almost any floor for your high rise construction. we have your commercial concrete needs covered. No matter the size or location of your slab, our pumps will have the reach. 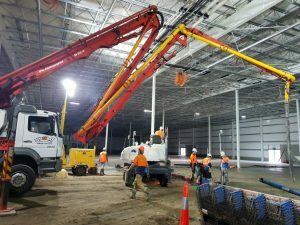 with years of experience pumping concrete for commercial construction in South East Queensland our work will blow your away! 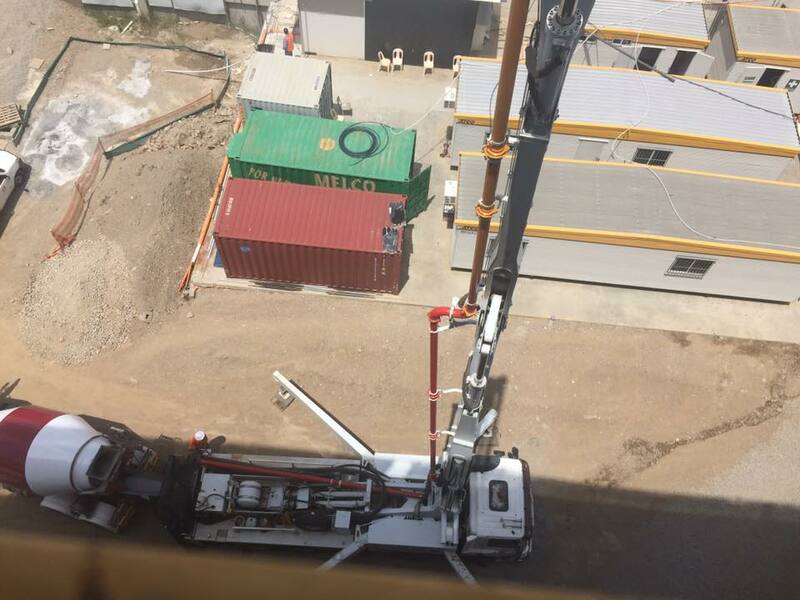 With extensive experience in commercial applications using both mobile and high rise pumping methods, the expertise to service the broad spectrum of commercial concrete pumping projects that arise. Below is a selection of commercial pumping projects in which we have been involved. 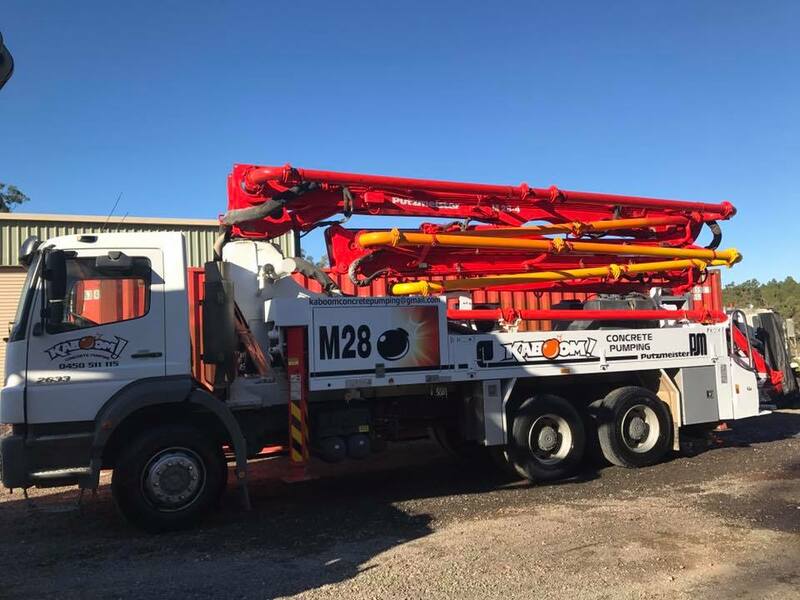 Our fleet of Concrete Pumping trucks will get your job done! 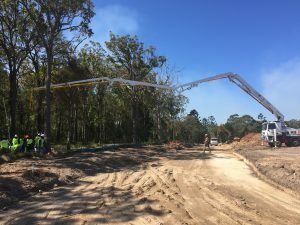 Kaboom Concrete Pumping is the commercial Sunshine Coast pumping experts. 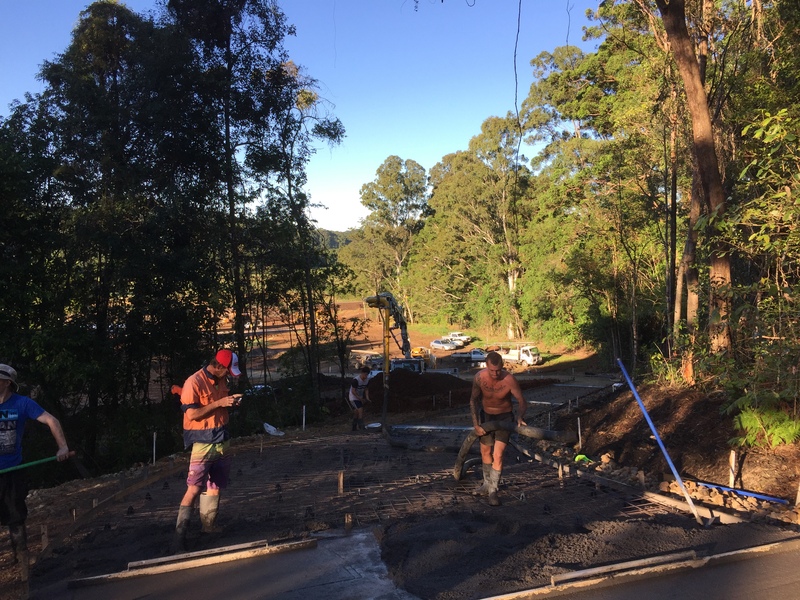 With an established reputation and history of customer satisfaction over the years, Kaboom Concreting will be your first and last stop. 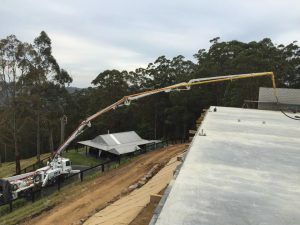 No jobs are too big or small, ranging from pumping concrete to high-rise structures to household level jobs such as patios and pool surrounds. Kaboom Concrete Pumping provides an efficient and simple solution tailored to suit any build. With the knowledge and field experience Kaboom have the essentials to make a success of any project. The savings come not only in monetary terms but also in time and effort through efficiency. Kaboom prides itself on its ability to provide work of exceptional quality on time and on budget. Your job will be done in a blast. Each project is completed with a tailor-made approach to ensure that the expertise of not only our team, but all professionals involved can be maximised. All concrete pumping equipment is provided, so once the order is placed you can have peace of mind knowing that the job will be done, no matter the needs or the difficulty of the job. 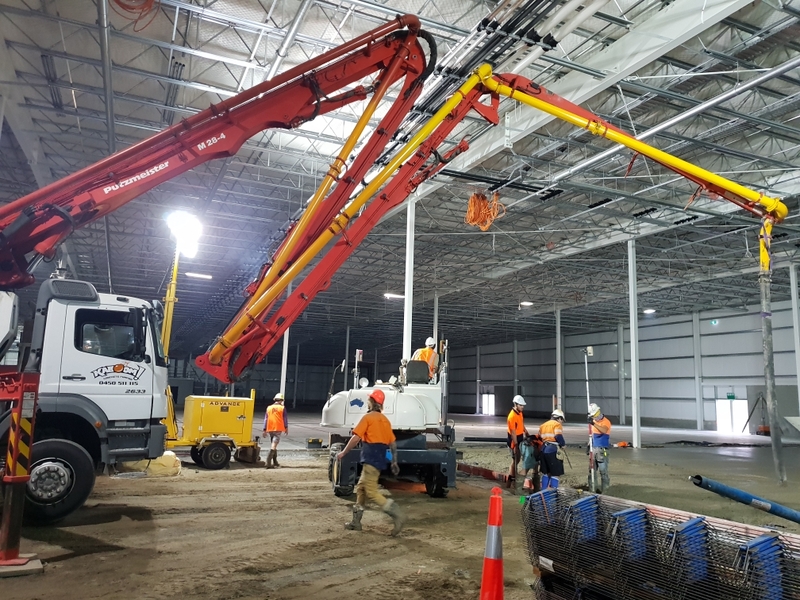 Based on the sunshine coast, Kaboom pledge to provide a completed job that is second to none, ensuring not only that you are satisfied with the outcome but also that you have a reliable, professional and affordable Concrete Pumping specialist in mind for your net job. Suited to every project, we tailor our work to your criteria, which is complemented with industry-leading standards and techniques. 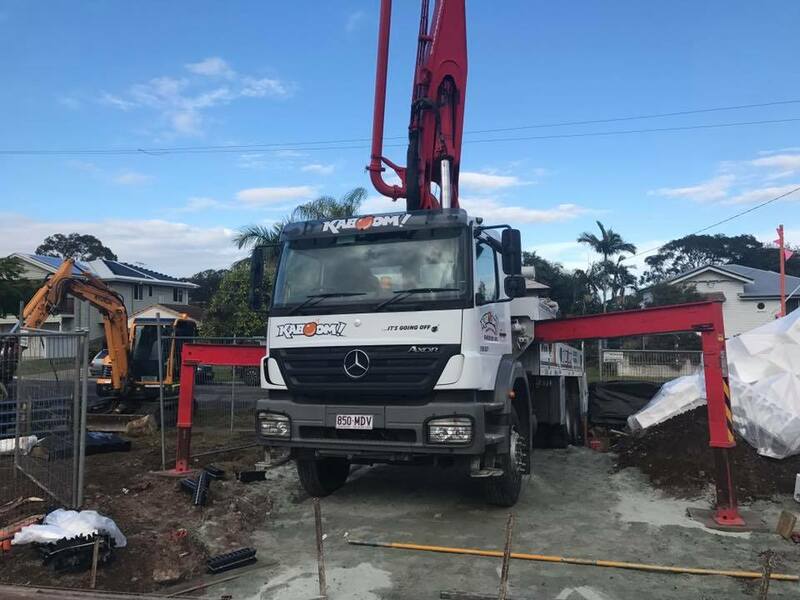 If you require concrete pumping on the Sunshine Coast or Greater South-East Queensland area contact us on 0450 511 115. 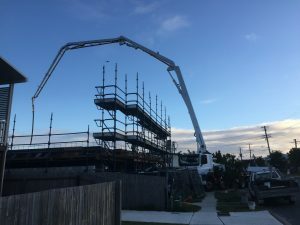 Kaboom concrete pumping is a leading provider of concrete pumping services on the Sunshine Coasts & greater SE Queensland. Whether your job is a house slab or commercial warehouse our fleet of trucks have you covered.